Humpty Dumpty sat on a wall, Humpty Dumpty had a great fall ... and so on. Everyone knows the old nursery rhyme, but probably few people realised that it could also be seen as a full blown pantomime. 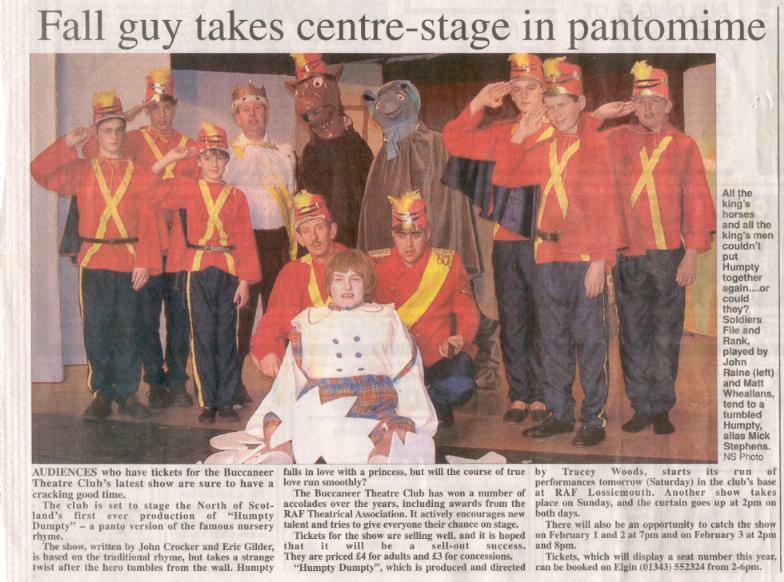 Over the past couple of weeks, the Buccaneer Theatre Club at RAF Lossiemouth has been presenting the aforesaid "Humpty Dumpty" to appreciative - and sell-out - audiences ... and providing a smashing bit of entertainment into the bargain. OK, some of the singing wasn't brilliant, but who cares? Some of the acting may have been a little stiff and self-concious, but again, who's worried, because overall it was a very slick, funny production. 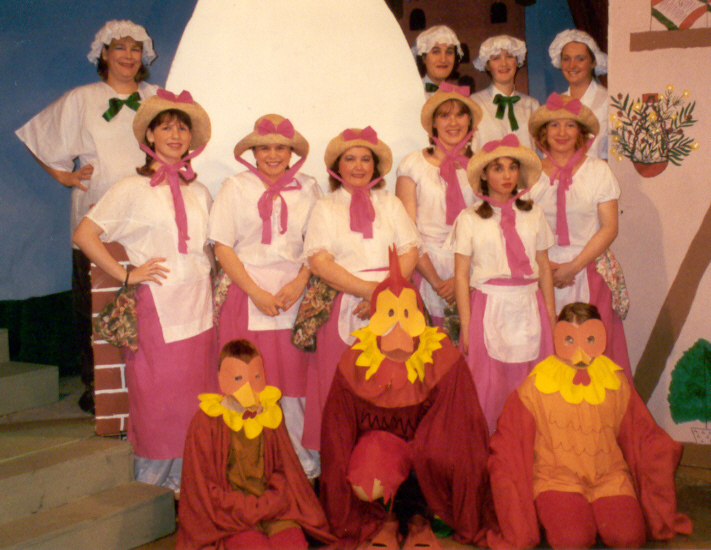 "Humpty Dumpty" isn't one of the familiar, traditional pantomimes. Instead it has rather a complex storyline which requires close attention on the part of the audience. Of course, pointed reminders by the cast, who kindly informed everyone at the appropriate moment that "this is an important bit" ensured that nobody lost the plot. In no time at all we were swept from the Palace wall to the wizard's den and on to the Royal stables. We even found ourselves at the end of the rainbow, in a gypsy camp and sharing a haunted bedroom with several resident ghosts. 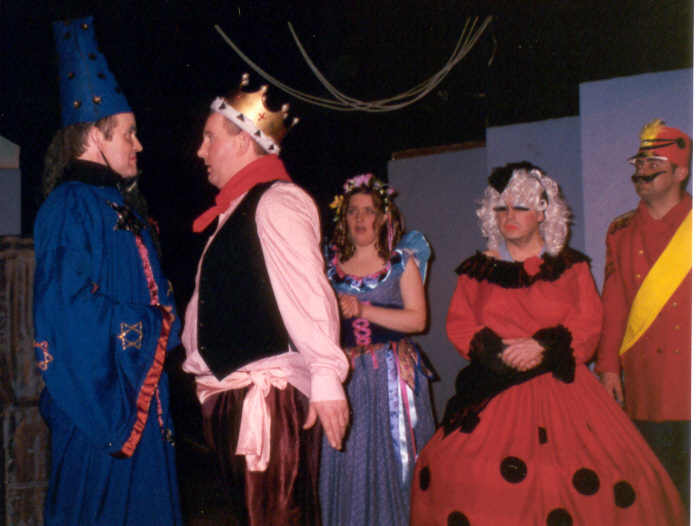 The company was dealt a cruel blow only days before going on stage, when Brian Jiggins, who was to playFowlpest, the evil wizard, was rushed to hospital after falling seriously ill. In true showbiz fashion, to ensure that the show went ahead, into the breach stepped director Tracey Woods. 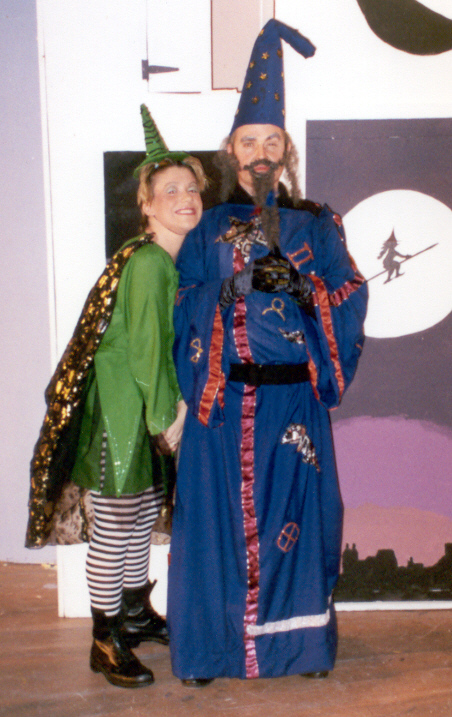 Although Tracey had to perform with a script, she managed to carry off this major role with aplomb. Complete with long greying hair and a straggly beard, she resembled an early Billy Connolly, and extracted every ounce of humour from the role, which she obviously relished. 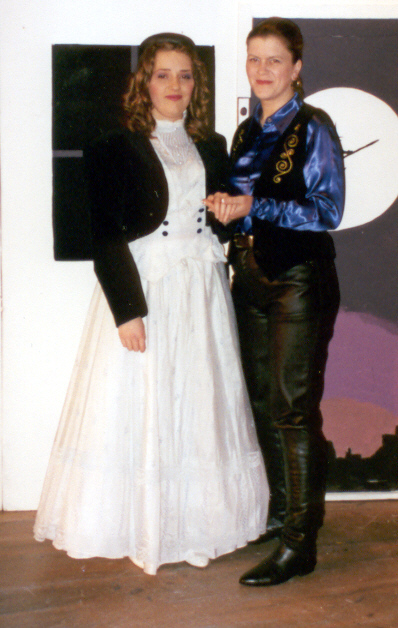 Her sidekick was Suzie Frier, as the energetic Chickweed, who showed an infectious enthusiasm in her role, with more than a passing interest in anything in trousers. 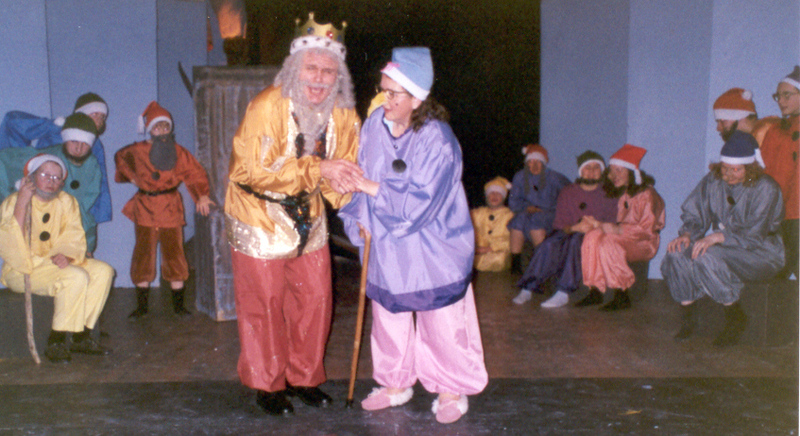 Humour played a big part in this production, with several excellent performances. 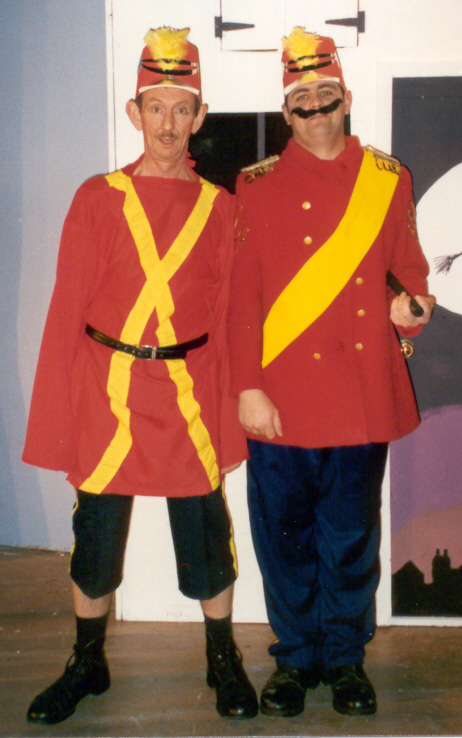 The pairing of Matt Weallans and John Raine as Sergeant Rank and Private File, caused a riot every time they appeared on stage. John Raine, in particular, with a huge range of facial expressions and excellent timing, was a real favourite with the audience, from whom he milked every drop of sympathy going. 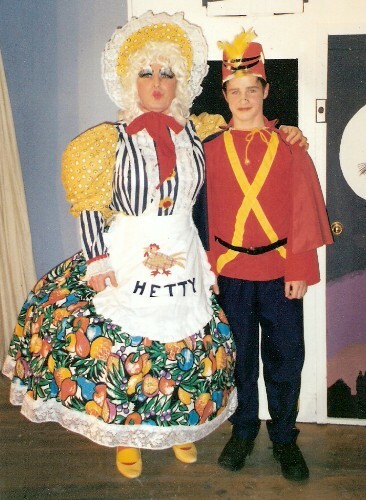 No panto is complete without a dame, and this one was no exception. 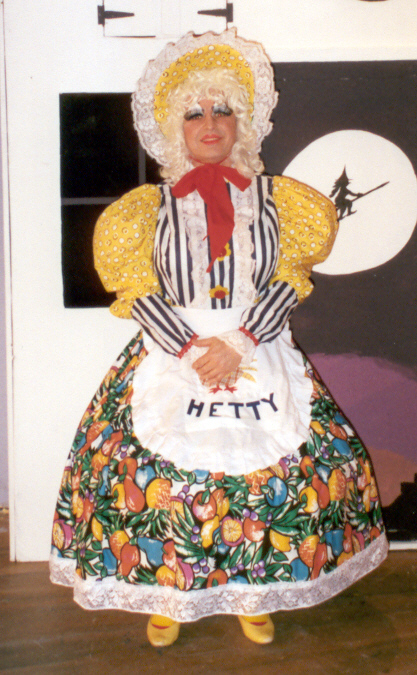 The role of the glamourous Hetty Hencake was taken by the club chairman Paul Woods, who quickly won over the audience. 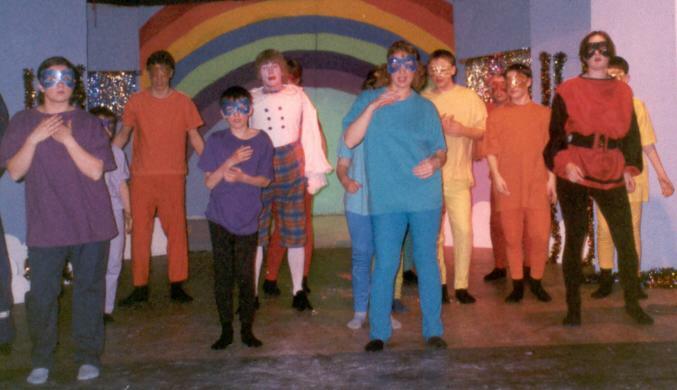 His inter-play with his fellow characters - and the audience - was first class and his version of the dance of the seven veils, in his case several rapidly shrinking skirts, went down a treat. 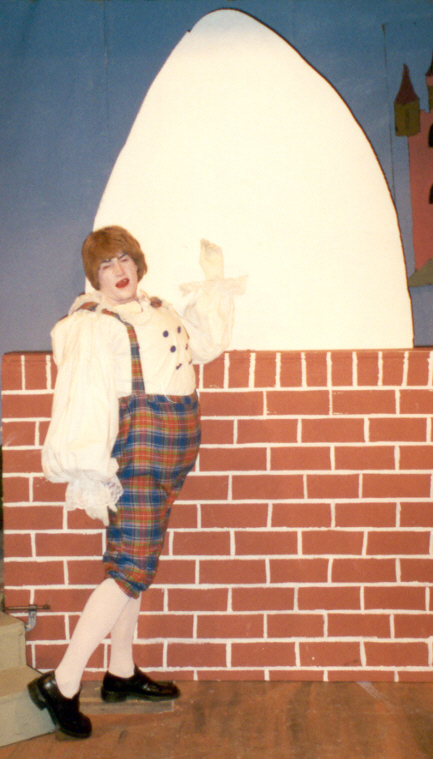 The central character to the panto was, of course, Humpty Dumpty, played by Michael J Stephens. 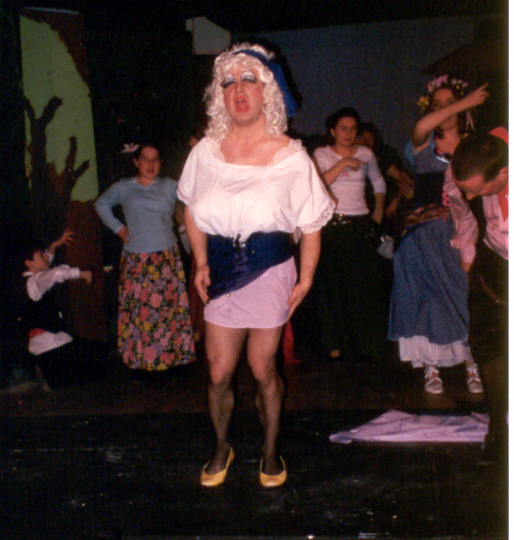 He quickly fell for the charming Princess Eglantine, played by Claire Nagle, but lost out to the dashing gypsy chief Romano, played with thigh-slapping enthusiasm by Jules Stephens in traditional Principal Boy manner. 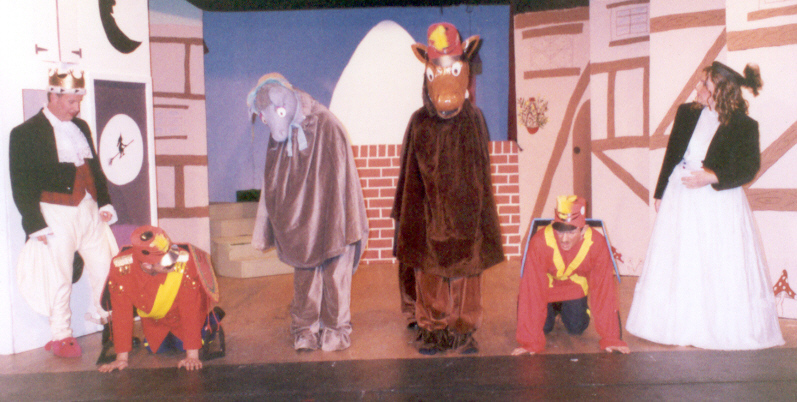 Chris Hewett was a pleasantly bumbling King Addlepate the Dozenth, while the King's horses, Dot and Com - played by Nicky Lally and Dee Boynton and Lisa Lund and Clint Heseltine - never put a hoof wrong. 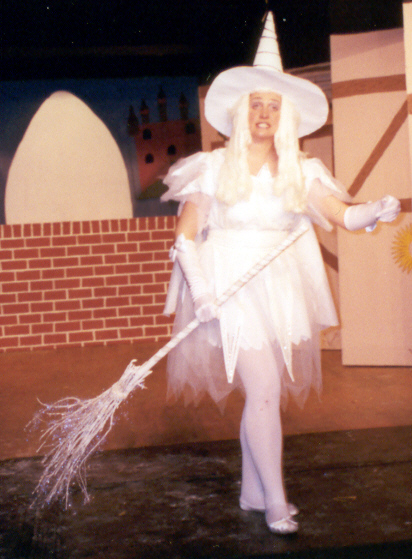 Ensuring that the audience was kept up to date with events - in rhyme - was Albumenia, the white witch, who never quite managed to master the art of broom flying. There were no weak links in this delightful show, with good support coming from the many young dancers, chorus members, chickens and goblins. 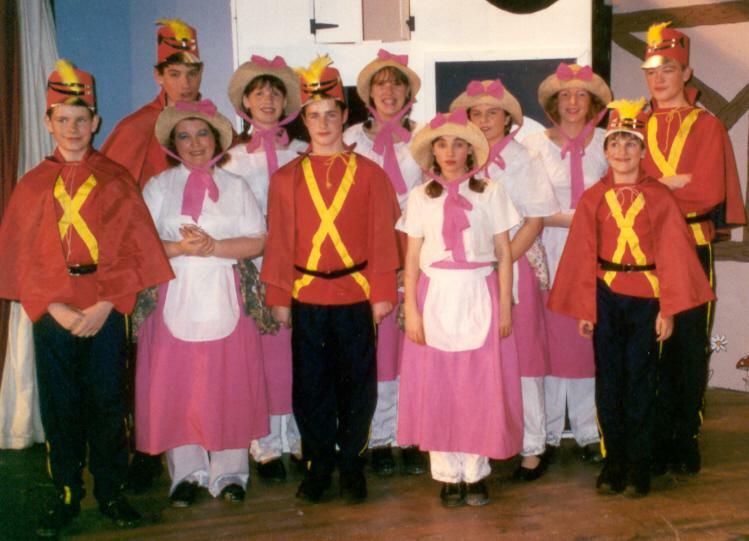 The musical offerings were in the hands of musical director Clare Penny, who accompanied the songs and provided many of the sound efects as well as coming in for a certain degree of grief from Hetty Hencake. This was a very slick production, and credit must go to Tracey Woods for her work in bringing it to the stage. Some of the comedy touches could quite easily have graced a professional production, and she was well backed up by her talented cast.